Nine states ban food stamp benefits for people convicted of felony drug offenses, but one of those, Missouri, is looking to modify its law. 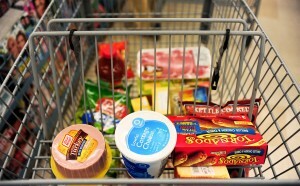 The Missouri Senate last week approved a bill that would end the lifetime ban on food stamps, formally known as the Supplemental Nutrition Assistance Program, or SNAP, but it would include safeguards and restrictions for those with drug felonies on their records, the St. Louis Dispatch reports. Individuals could become eligible one year after the conviction and would have to either complete a treatment program or be certified as not needing treatment. A “three strikes” provision would ban anyone with three drug-related felony convictions. The ban is a vestige of the federal welfare law passed in 1996 when President Bill Clinton declared that America was “ending welfare as we know it.” But within a half a dozen years, roughly two-thirds of states passed laws that either lifted the ban or modified it. McDonald left prison in 2004 and lost her eyesight two years later. While caring for her newborn son, she was denied SNAP benefits. Today she runs her own nonprofit called Christine’s Vision and no longer needs assistance. The bill has garnered bipartisan support in the House.